Posted on January 29, 2006 by Mark A. 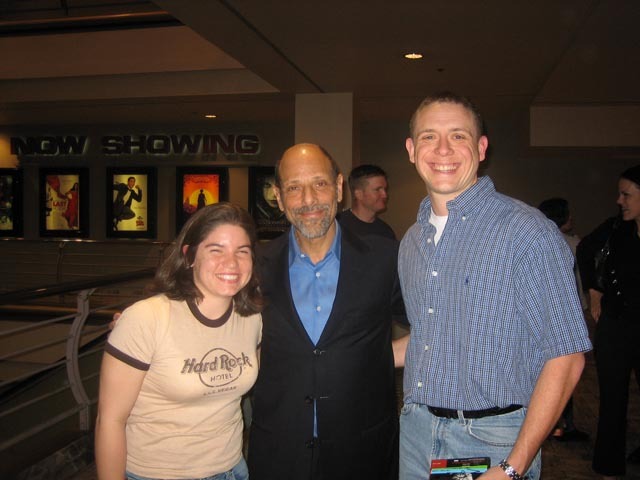 On Friday night we saw Robert Schimmel, a stand-up comedian, perform at the Rivercenter Comedy Club here in San Antonio: You may have seen Schimmel’s HBO special “Unprotected,” or have heard him on XM or Sirius radio. He also makes regular appearances on Howard Stern’s radio program. In 2000 doctors diagnosed Schimmel with Non Hodgkin’s Lymphoma. They told him that even if radiation and chemotherapy were successful he would most likely have two years of life left. They also told him that he would never have the ability to have any more children after the therapy. They were wrong on both counts. Not only has Schimmel remained free of cancer for five years he also fathered a son during that time. If you get a chance to go see Schimmel perform live then by all means take the opportunity, or at the very least order one of his CD’s off of Amazon (I think “Unprotect is the best). I guarantee you won’t be disappointed. Personally, I think the only reason Schimmel hasn’t become a house-hold name like other comedians is due to the fact that cancer struck immediately after his extremely well-received HBO special. He was forced to quit performing and consequently lost all of the momentum he had gained up till that point.